Have you jumped on the Collection bandwagon since the brand relaunched in New Zealand? I know I've bought into the hype in a big way, much to the sorrow of my wallet! Today I'll be showing you the Extreme 24 Hour Felt Tip Liner in Black. The packaging of the Extreme 24 Hour Felt Tip Liner is sleek and simple, with a cap that clicks shut securely. I have noticed that when you replace the cap, it clicks down to being almost closed and looks to be shut, but you need to push it down a few millimetres more to shut it completely - otherwise you risk having the felt tip dry out. The felt tip of this liner is firm but with enough flexibility to easily draw lines of varying thicknesses. The liquid liner dispenses readily and is mostly opaque on the first pass. One thing I noticed is that the Extreme 24 Hour Felt Tip Liner has a scent reminiscent of a permanent marker, but not nearly as strong. It didn't really bother me, just something I haven't noticed in a liquid liner before. 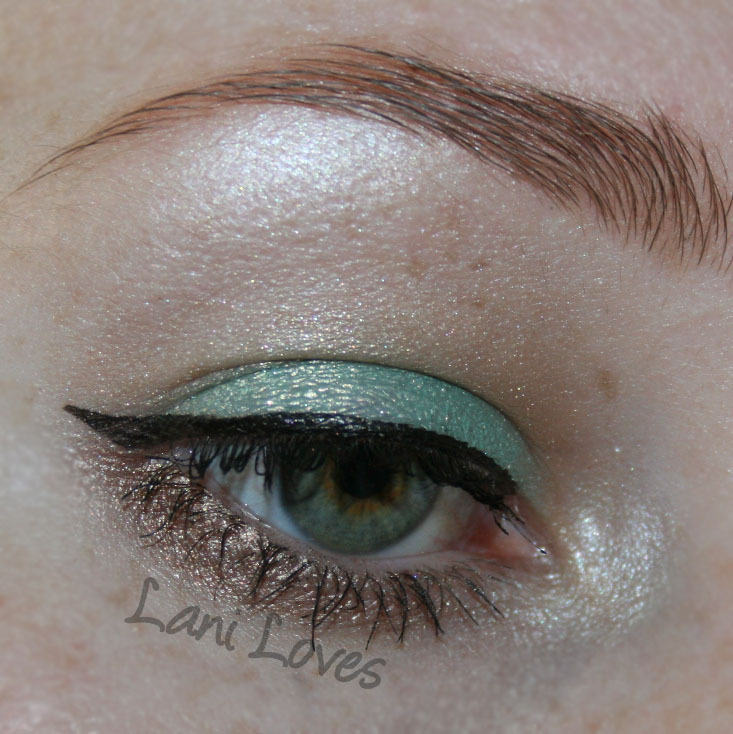 The lasting power on this liner is pretty great. I have exceptionally oily eyelids, so I do find I have a small amount of transfer above my eyelids at the end of the day, but if you don't typically have this problem, you shouldn't have any issues here. I tested this both alone and with eyeshadow and found the wear time to be the same. It doesn't crack, fade or smear over the course of the day. Sometimes the liner will pick up a little eyeshadow if I am wearing a sparkly shade above my socket line, which I find to be the case with most satin finish liquid liners. Easy to apply - the felt tip has the perfect amount of flexibility. Long lasting - does not crack or fade. Sometimes picks up shimmer from my eyeshadow. Some colour transfer at the end of the day. It's really nice :) I love the purple one too! I <3 the felt lip liner! !